Subscription-based services seem to be everywhere these days. From razors to healthy snacks, you can get almost anything regularly delivered to your front door for a monthly fee. What is HP® Instant Ink®? The HP Instant Ink program is another monthly service jumping on the subscription bandwagon, and with it they are reinventing the way you buy ink. HP may be finally offering their ink for a competitive price, but after years of high cartridge prices, some customers are understandably apprehensive. Instead of owning a cartridge outright and printing when needed, Instant Ink requires that you pay to print a predetermined amount of pages each month. Instant Ink is offered at four different price points1. Their occasional plan goes for $2.99, giving you 50 prints a month. The moderate plan costs $4.99 and gives you 100 printed pages per month. The frequent plan is $9.99, giving you 300 pages per month and they also offer a free plan, giving you 15 free prints per month. Regardless if you print in color or black and white, any page that comes out of your printer counts as one print. Price-wise, a subscription-based ink service looks pretty enticing. But if you peel back the fine print, dealing with Instant Ink’s rules and regulations may outweigh the convenience of a low monthly cost. Here are some of the things you should be aware of before signing up for HP’s Instant Ink program. A printed page may not be what you expect. HP defines a printed page as “a page upon which any amount of ink is placed by your printer” 2. Meaning if you print a page with just one line of text on it, it counts towards your monthly total. By introducing a firm set of print guidelines, customers of this program may want to be mindful of every page that is sent to their printer, especially if they are on a budget. Having minor prints like mailing labels count just as much as a full color photo might put you in a bit of a pickle if you normally don’t think about monthly printing habits. Customers may also need to factor in for unexpected and unintentional prints like the extra pages that magically appear with a printed concert ticket or recipe. Printing more than your subscription warrants may add up. HP charges1 $1 per 10 pages on the free plan, a $1 per 10 pages on the occasional plan, $1 per 15 pages on the moderate plan, and a $1 per 20 pages on the frequent plan. Paying an extra dollar for a handful of desperately needed bonus pages isn’t a big deal for most. But if a major print job requires you to print far more than the allotted monthly amount, those extra dollars may add up quick. To avoid the extra fees, customers enrolled in this program might need to plan ahead and weigh their options. Investing in a set of backup cartridges makes the most sense if you have a lot more printing to do. Although it’s an added expense, you’ll be able to continue printing as much as you want without constantly worrying about overage fees. HP is watching your printer. By enrolling in the Instant Ink service, you are authorizing HP2 to remotely monitor page count, ink levels, the type of documents you print, the type of device you use to print a particular document and whether the last cartridge you used was new or used. They are also allowed to share some of your information2 (name, address, email, printer model, printer serial number) with the retailer that you purchased the subscription from. Replacement cartridges may take up to 10 days to arrive. HP sends replacement cartridges via standard shipping, noting that it could take up to 10 days2 for a new set of cartridges to arrive. Luckily for most, the wait time probably won’t be quite that long. When tested, an order of instant ink cartridges arrived relatively quickly. HP sent an email notification stating that a new set of cartridges were being shipped out on Friday and they were received the following Wednesday. Because it keeps track of your ink, your printer can anticipate when it thinks you will run out and ship ink to you in advance. HP bases this on when your cartridges have enough ink to “print twice as much as the number of average pages in your monthly plan“6. This works pretty well for someone that prints occasionally, and shipping time probably won’t be an issue. But if a high volume print job is in the works, you might want your next cartridge waiting in the wings, not waiting in transit. Need your Instant Ink in a pinch? HP does offer expedited shipping but customers may incur an additional charge. Unused prints rollover to the next month – up to a certain point. Under Instant Ink, the number of rollover pages you can accrue corresponds directly with the specific tier you’ve enrolled in. The occasional plan offers a maximum of 50 rollover pages3 in your account at a time, the moderate plan allows for up 100 rollover pages per account and the frequent plan offers up to 300 rollover pages. So if printing isn’t needed for a of couple of months, the number of rollover pages you can acquire is automatically capped. Your printer must be connected to the internet to accurately monitor your use. HP’s Instant Ink cartridges are designed to communicate directly with your printer to accurately track4 page usage and ink levels. The cartridges only communicate to the printer when you are connected to the internet, so if your internet connection is spotty or disconnected for a period of time, it won’t be able to properly record your page total. Any pages you print when your printer is not connected to the internet will be recorded when you reconnect and refresh the page counter included in Instant Ink’s online portal. This delay may become a problem for Instant Ink customers if they run a big print job offline, reach their monthly page limit and need a replacement cartridge right away. If the connection isn’t able to reflect how many pages you have left in real time, the program might not be able to anticipate when to ship out a new cartridge. Waiting for the service to catch up with you may put the brakes on a major project, requiring you to go out and buy regular cartridges in the interim. Instant Ink only works with certain printers. There are a select number of printers5 that operate under the Instant Ink program. Consumers with older model machines will need to upgrade if they want to enroll in the service. Printers can range from around $70 to $380, depending on the model and where you buy. Forget to pay your Instant Ink bill and HP just might shut off access to the service. Worrying about a monthly charge to use something as commonplace as a printer isn’t something we are used to. If you don’t stay current, HP has the option to temporarily shut down access2 to the service and your Instant Ink cartridges. A temporary delay in the service might be a bigger issue than anticipated if you happen to be low on ink at the time. 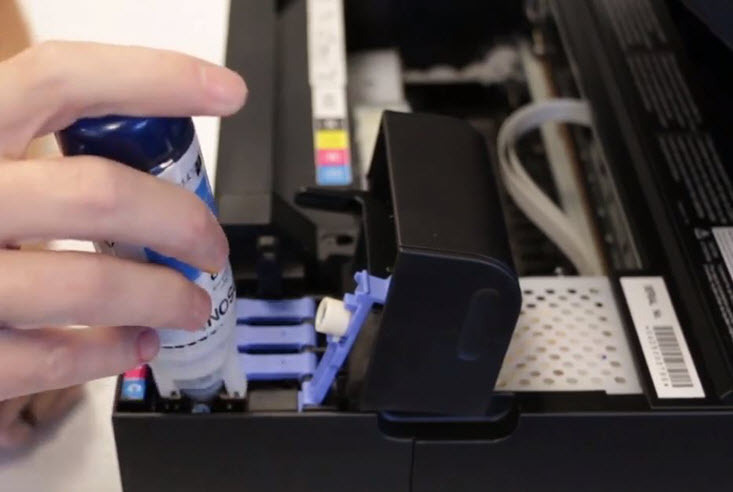 Since Instant Ink relies on an active account to report ink levels, a delay in payment might also delay the shipping time of a badly needed replacement cartridge. Instant Ink is making us think differently about the way we print. The low monthly rate and ability to print whatever you need within a designated page range is very enticing, especially for consumers that only print a few times a month. But for customers that are trying to stick to a strict printing budget, the extra fees that come along with unexpected prints might end up being a burden. No matter where you stand, factors like a monthly bill, connectivity concerns, and overage fees are worth keeping in mind. If Instant Ink’s terms and conditions are a concern for you, aftermarket cartridges are a compelling alternative. Remanufactured and compatible cartridges are competitively priced and allow you to print freely without a long list of preconditions. Check out this banner to see the dramatic difference in pricing. A lot of customers have made the switch to compatible cartridge replacements and are enjoying the same print quality as an original brand cartridge. Now that you a have a better idea of what to expect with Instant Ink and what other options you have, the choice is up to you! 1 “How It Works.” HP.com, https://instantink.hpconnected.com/us/en?jumpID=va_nxc3gze76w. Accessed 18 February 2019. 2 “HP Instant Ink Terms of Service.” HP.com. https://instantink.hpconnected.com/us/en/terms. Accessed 18 February 2019, v.08.13.2018. 3 “HP Instant Ink – Understanding HP Instant Ink Monthly Charges.” HP.com, http://support.hp.com/us-en/document/c03917913. Accessed 18 February 2019. 4 “HP Instant Ink – Page Count Is Not the Same as Actual Pages Printed.” HP.com, http://support.hp.com/us-en/product/HP-Instant-Ink-series/5264756/model/5401249/document/c05029962/. Accessed 18 February 2019. 5 “HP Instant Ink Eligible Printers” HP.com, https://store.hp.com/us/en/SearchDisplay?client=&searchTerm=HPInstantInkPrinters&search=&charset=utf-8&storeId=10151&catalogId=10051&langId=-1&beginIndex=0&pageSize=50&jumpid=cp_r11549_hho_iieligible_printerselector_090117. Accessed 18 February 2019. 6 “HP Instant Ink FAQ.” HP.com, http://m.hp.com/us/en/ads/instant-ink/faqs.html. Accessed 18 February 2019. Big mistake. I ended up losing control of my own ability to manage my own printer. It was all made much worse when they sent me the wrong ink which then totally f$#@ked up my printheads essentially wrecking my printer. They charged me regardless of my ability to print a single page during the two months I messed about trying to get my printheads to work. No apologies or assuming responsibility for their mistake. I think my next printer will not be an HP. Just plain sad customer care. I agree whole heartily. We don’t use the printer that much but there control has made it so we couldn’t finish printing documents. Not worth it no matter if you print a few or a lot. But, I have two sets of cartridges that are full but, since I opted out of instant ink they are any good. What a waste!!!!!!!!! Agree. Not worth the ‘savings’. I’ve been trying for sing it for the last few years without issue. I don’t print very much so has been working, until this last time: my black ink was complete empty, but they stated I haven’t reached my limit. So, no new cartridge. Stuck, I’ve canceled my service and now buy on my own. Costs me more, but I’m in control now. Also will be the last HP I own. You probably alluded to this at some point, but there is another issue the likes of which I have found to be very frustrating. I cancelled my Instant Ink account on September 4, and now my printer is completely locked until September 15th when the billing cycle closes. I was on the phone with HP tech service for nearly 4 hours on Saturday, speaking with 3 different technicians, and it appears that nothing can be done to ‘unlock” my printer even though I installed cartridges that I had bought at the local Walmart. I’m taking a class and it is very inconvenient not to be able to print notes, etc. from my own computer until HP Instant Ink decides I can do so. I have to disagree with most. Hope not to jinks my service with HP. I love the service. I have received so much more ink than I need. JUST TO NOTE: THEY CHARGE PER PAGE. MANY PEOPLE ARE SAYING IT’S THEIR INK IT’S NOT! It’s like going to the library and buying pages except at home. Yeah you have to make sure you keep your internet connected to your printer but they have a web page that you can monitor at all times to make sure you don’t over print and that you’re connected. If you do over print they sell the sets(per page in it) the same prices as a single page in your plan. I did the math. When you buy Cartridges at the store they cost you about $20 and give you about 250 pages which gives you .08 cents per page. Almost like the local library you go to. When you go with HP I have the $10 plan for 300 pages which is only .03 cents a page. May be a few cents off but saves me the trip of going to store and having to spend time to get it. I had Instant Ink service for several years. I think I received cartridges maybe twice. I print allot and had to buy cartridges along the way, I finally canceled the service. Then my printer threatened me to not print unless I signed on and gave them new cc #’s. Which I did not. Then the printer would not work. So I was very happy to see the posting that said to buy cartridges other than Instant Ink cartridges. Thankfully the printer is working now. But I keep getting stupid messages about not having Instant Ink cartridges in the printer. Wow, don’t buy the printer that promises a good deal on cartridges. What is really annoying is that I had a free trial for like 5 months straight and stupidly signed up for it. When I had to get this new printer, I had a bunch of stuff I needed to get printed. Now, since I don’t want it, (and has been almost 6 months since I cancelled), every time I print something, I have to click OK on the printer to get rid of the message that says something about connecting on to Instant Ink. So, if I am printing 5 one-page documents, I have to stand by the printer so I can press that OK button 5 times! I can’t figure out how to wipe all that. I guess you can’t. It still wants you to be connected to Instant Ink even if you are no longer enrolled. Total BS. Also, this is pure HP genius: You have to return the Instant Ink cartridges, especially when you cancel. If there is unused ink in the cartridge when you cancel, you can’t use anymore of it, yet the return packaging states to only return empty cartridges….hmmm…. HP Instant Ink program is a joke. If you cancel the service, you cannot use the ink cartridge that may be left because it is designed for instant ink. The HP support position is that you are paying for a service not a print cartridge so even though you have paid enough of the service to cover a print cartridge, you cannot use it after you are no longer enrolled. The author of this article is also correct on the overage costs so there are a lot of hidden fees that the consumer is not accounting for when subscribing to this service. I just bought an HP 6970 OfficeJetPro, but after reading about Instant Ink and all the problems I’m glad I didn’t take it out of the. I’ll be returning it tomorrow. Sounds like a big mess to me to me. and the per page fee if you go over! Yep – returning it for a normal printer. What a rip off. Took me 3 tries to cancel my service only to find out that the ink I had would no longer work. Wish I had seen this before I signed up. I print a lot of 4.25 x 5.5 size sheets for a bowling tournament. They are counted as a page each. Secondly I print a lot of stuff in economy mode. Over the ls\ast six months I have paid over $100 in charges and have receivedone set of cartridges. I have one color cartridge l\yet to install. When I decided to cancel I was informed that unused cartridges would no longer function. I paid $100 for a set of cartridges that wont work. I would not have expected HP to run such a scam. Guess I’ll bite the bullet and cancel and accept the losses. Allot of the Nay sayers on here dont know how to read a contract. You cannot use program ink pods mixed with store bought, it will send a error message. You can stop the contract ANY TIME. Just replace the current ink in the machine and send them back. The machine KNOWS if YOU CHEAT! you arent LOCKED IN! That being said, one replacement “set” is $50-70. Depending on your printer, you get betw 100-300 pages per set of ink. YOU do the math. ONE YR on the program is less than one replacement pack. Caveat Emptor! YOU are the one who needs to figure our how much you print PER MONTH, to avoid overages, They certainly dont know how much YOU print……or how big that ONE job is. Perhaps if you call ahead of the job and make adjustments the support would be more happy to help you rather than calling up and WHINING that YOU made the mistake and expect THEM to fix it for you. The worst! I never received any ink cartridges, and I’ve been on the phone now for 20 minutes being transferred to different departments trying to cancel my account. Meanwhile, they are trying to bribe me to stay in the program with discounts, free cartridges, etc. Just buy cartridges at Costco. I am very dissatisfied with the Instant Ink service and will try to let others. I ran out of ink 4 months before the scheduled delivery and attempted to contact them without luck.When I attempted to get help with this issue and had no options including a virtual assistant to do so. I have been paying since September! The fact that i can not cancel without agreeing to more payments is very poor customer service. This leaves a bad taste about HP in general. Before I even had my computer for a month I received ink cartridges “just in case i ran out early, except they sent the wrong cartridges…they were def not for my printer. I ended up sending back the printer i bought because it stopped printing color after one week and very few prints but the levels were showing plenty ink. That was the recommended Canon Envy 8920 I think? But I got it from Ebay – supposed to be new. I had a hard time canceling my subscription and I still have these ink cartridges they sent that I cant use. I hope its cancelled! I better check my bank statements. I don’t recommend this service,i am so very sorry that i used this service and i will never use it again. Just bought a new HP printer and was considering signing up for the Instant Ink subscription service. After doing the math, it is NOT a good deal. Using current prices at Best Buy, the 952 in for various OfficeJet Pro printers, the black ink costs 3.33 cents per page and the color cartridges cost 3 cents per page. This was determined by the price divided by the estimated number of pages you can expect to print as listed by HP in the technical specs for the ink. For black ink that is $32.99 divided by 1000 pages per cartridge or 3.33 cents per page. For colored inks that is $65.99 divided by 2100 pages (700 pages per color x 3) which is just over 3 cents per page. Now let’s compare that to HP’s subscription service plans. For the 50 pages plan at $2.99 per month it works out to 6 cents per page. For the 100 page plan at $4.99 it works out to 5 cents per page. Finally, for the 300 pages plan at $9.99 per month it works out to 3.33 cents per page. So except for the 300 pages subscription plan, it is cheaper to buy your own ink. Even for the 300 page plan, the subscription becomes more expensive if you go over your page limit because they charge you $1 more for each 15 pages which is 6.67 cents per page extra. Let’s say you go over by just 1 page, well that’s going to cost you $1 for that page. HP and the other manufacturers would NOT be pushing their ink replenishment services if they were not a money maker for them. In general, we are doing more and more online and strong documents online. Even if you print photos there are online services for folks to use or they can go the local pharmacy or Wal Mart to print photos. Combine the cost issue with some of the other points in this article and the issues some people have run into with using this service, it makes more sense to buy my ink at the local Best Buy or other retail store. One last note, I am considering the Easy Replenish ink program offered by Best Buy. It has no subscription fee, offers 10% off the ink, and has free shipping. It monitors your ink levels and sends the ink when it determines you are running low. Now that makes much more sense to me! I’ve been on the InstantInk program for a couple of years and love it! I’ve always had ink on time and it is extremely economical. I’m on the moderate plan and it is great not to worry if you are going to run out of ink if you are printing, say, a photo or colour document. I have gone over my plan twice and on both occasions I was contacted to warn me and had the option of either the set no of pages for £1 or increasing my subscription. On the one occasion I paid the extra £1 because i only needed those few pages, and on the other, when I had a lot to print I upgraded for a month then downgraded at the end of that cycle. When or if you cancel you have the option of cancelling immediately or at the end of the billing cycle. That gives you the time to manage your switch back to “normal” cartridges. On the one occasion I had to contact HP they were extremely helpful and did all they could to assist. They also recredited me with extra pages to cover the test pages I printed during the call. It is strange the number of negative comments as I have recommended the service to many people. Of course I am in the UK so maybe we have better Customer Service! Okay so if you do the math, the moderate plan which cost 4.99 for 100 printed pages, right. Well that calculates out to 4.99/100 = .0499 / page. The overage cost $1/20 pages, which calculates out to.05/page – that is if you actually print out 20 pages. so if you printed an extra 100 pages it will cost you $5 – .01 more than your subscription. The HP Instant Ink is a big rip off. I’ve had the service for several years and they never sent me new ink cartridges. So what am I paying $2.99 a month for? They have total control over your printer. It’s my printer…..not theirs! 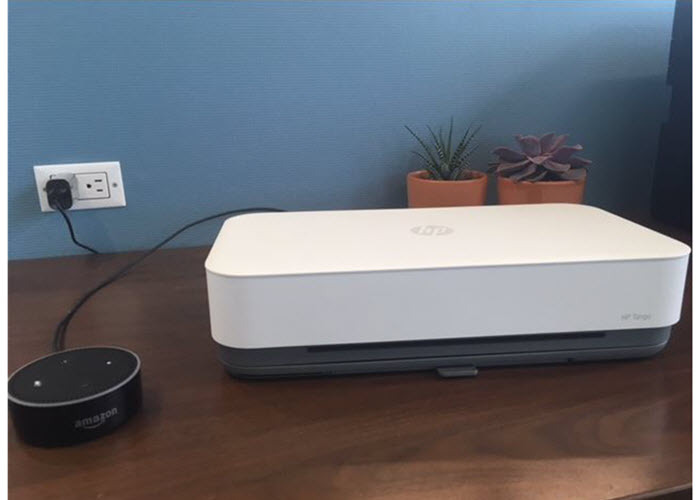 It’s “big brother” controlling your printer. It’s cheaper to buy your ink on Amazon. Don’t let them fool you into thinking it’s a good idea. IT’S NOT!!! Agree with your comment wholeheartedly. HP failed to send ink cartridge twice! After the second time I was done. I have problems with my printer since I cancelled the service. You are spot on I just spent 40 minutes on chat with HP Instant ink and we don’t see the same picture. It is MY printer, it is MY paper, and I paid for the ink, MY ink, so where do they get off charging me over usage charges for using the things I pay for. I don’t get and they did not see it my way. Where does a machine or another person who does not know me have the right to charge me for using MY things. Basically if I stay on the program I have to be careful how I use MY own printer. Yeah the over usage charge happened once because I was doing a birthday book BUT… this is wrong. So I will be cancelling MY subscription. I have had at least 20 ink cartridges sent to me. I print only full page photos so it works out great for $120 a year .Because 2 ink cartridges cost $60 at wal mart. I totally agree that it is a rip-off. I went 6 months without printing more than 2 or 3 pages a month and one month I had to print a large document and was charged $30.00. And try discontinuing the service. I finally had to cancel my credit card to get them to stop charging it. This was the worst decision I’ve made. The ink NEVER came on time and i had to order my own from Amazon since I live very far from an office supply store. I can’t even disconnect from the internet and use my own printer! They just cut me off after I said I didn’t want to renew the instant ink process. If they’re so good at monitoring the # of pages I’m printing, they would’ve sent me out cartidges in time. I’m donating this printer and switching brands. horrible horrible for me, that is. I totally agree. After the first shipment, they never sent me any ink, even when my black ink ran out. There is no number to call, so I you must sent an email to support. After one week, no one had responded. They have a chat option if you are contacting them during business hours, so I opened a chat. I told them I was out of black ink, and asked them to please send me the ink and after that I wanted to cancel my subscription. I was already $60.00 in at this point, and no ink. I was told that if I canceled, my ink would be inactivated and I would not be able to use it. This has soured my against HP in general. Looking for a new printer, and it won’t be HP. I have read about 30 comments below and my conclusion is that those of you who complain about the program did not read the small print to see how the program works. You are buying a certain number of prints per month. As long as you have paid for the current month you can use the cartridges you have been sent on the program and Pay extra for printing over the max number of pages you paid for. You are not buying the ink. The ink cartridges do not belong to you. Once you cancel the program you cannot use the rest of the ink. You need to purchase cartridges that are not in this program. The rollover limit is one months worth of pages allowed on the program you have purchased. Once you opt out of the program all printing is not available to you on this program including the rollover pages you might have. I hope this helps people understand how the program works. Discloser…i have not yet used the program but from reading the negative comments I can clearly see most are made by people who think they own the ink once it is sent to them. I agree. I just canceled a couple of weeks ago. I print quite a bit but not using that much ink, they don’t charge for ink usage. They charge per page. A whole different story. I also agree. Once you stop the service, you have to immediately go out and purchase cartridges for you can no longer use your printer until you remove their ink cartridges and put in new retail purchased ink cartridges. Absolutely true! My debit card was stolen, and because I had not changed the number with HP Instant Ink, they held my damn printer HOSTAGE! I couldn’t print anything (even though I had been paying for TWO YEARS!!!) until I changed my debit card number with them so they could continue taking my money. Now I have cancelled HPII, and they will not allow my printer to print. I am taking this HP printer to the DUMP and never buying another of their products EVER! What a rip-off! And talk about Big Brother!!! This is a total rip off! I cancelled my Instant Ink plan and two hours later my printer is unusable for anything – there is an error code flashing on the screen and absolutely no information online and no help available. I will NEVER buy another HP product again! EXACTLY! HP instant ink surveillance program might seem good to people (on the surface) but do you really want your printing capability to be monitored and contrlled by HP, or any other company? It’s just the beginning people. You should be very reluctant to willingly allow this type of invasion into your home or office. I have been on the instant ink program for about 2 years. I thought it was a good program, but when my printer stopped print color, I decided to use it for just B&W printing, so I purchased a B&W cartridge from Staples, and stopped my Instant Ink account. When I tried using my printer, I couldn’t because HP had taken over my printer and I got the message that I could’t use it until the I re-joined the Instant ink program. I’m am now buying a new printer. Be careful what you let HP do. Agreed. Not worth the effort. If you cancel, then the service prevents cartridges from printing. Talk about bar games and this is right up there with the best. Always needing money!! Unmanageable as HP is keeping score. Right in the middle of big print project and Darn HP wants more money. Then get on chat and the robot on other end wins when you subscribe to higher priced plan. I’m done with HP Instant ink! PLEASE KNOW that if you cancel your subscription, and still have the ink cartridges in your printer EVEN IF THEY ARE COMPLETELY FULL! Your printer will NOT work until you go to the store and by NEW ink cartridges that you didn’t get from their “subscription”!!!! Your printer will not print ANYTHING. It will tell you to go to hpinstantink.com so they can tell you exactly what I just said. Unless you are subscribing for the LIFE of your printer, DO NOT DO IT!!! Yes, I agree that HP should make this very clear up-front. If this is known, then it is best to cancel the service when your ink is low. Why would you conclude that you need to subscribe for the life of the printer?? I just got hit with that. I was so pissed that they didn’t make this point clear UP FRONT! At the very least, a pop-up box when you cancel the service! Now I have to leave work, go buy ink cartridges, waste time and gas so I can complete my work. Grrrrr. WOW is that true? You mean if I went to Best Buy or Walmart the HP ink will not work on my HP printer? I want to buy some today and wait for my HP subscription to come, or if I want to cancel after I buy some I saw in the store for a good price I cannot use it? Yes, the instant ink cartridges that you didn’t buy (they come with the 1st month’s subscription) stop working. How does that mean a sub is for the life of the printer? Just know that you need your own cartridges on hand when you cancel. I agree they should be clearer about this. Also, it’s annoying that you can’t keep the set that comes with the printer un-used. You need to install the starter cartridges to even order the instant ink. Sounds like it’s only a bad deal if you have surprise 200+ page jobs or have an ink shipping snafu. Usually if I had that big a job buying my own cartridges, I’d have to buy an extra set to get through it anyway. The best deal is if you print some photos. If you’re just doing text, get a B&W laser printer. Or just get a $60 B&W laser along with the instant ink $3 plan for the best of both worlds. $60 is less than that one set of ink cartridges. Yep, I have lots of cartridges left but had to stop subscription due to our purchasing cards being shut off.. Now I’m screwed unless I keep it current on my personal card. I cancelled instant ink in august 2017 bought new cartridges at walmart and it still says I have to connect to instant ink. Thanks for this info! I only just learned about this and thought it might be worth it, but clearly it is not. I appreciate the warning! Agree -This program is not effective in my experience and a rip off. I also did not receive cartridges twice, Had to call to finally get them sent and finally canceled only to learn I have to buy new cartridges even though I have new full ones! I have never written a review or responded in a blog but felt compelled to share my experience . I am recently retired and absolutely disgusted the terms of this program. Whatever happened to real customer service? This seemed like a great way to help my parents who were constantly running out of ink. Unfortunately, I ended up having to replace cartridges outside the subscription anyway. Waste of money. Horrible customer service. They will demand a credit card to charge monthly. If you use a pre-paid card and the money on it runs out, they will make it so you cannot use your own printer at home until they get paid the overage that THEY incurred themselves by overcharging your pre-paid card! I’m being held hostage by the HP police. I CANNOT USE MY PRINTER!!!! ONE BIG SCAM!!! Horrible customer service!! Just to be informed I looked up “service.” Five choices among noun and verb. One offering is male mating with female!! I will accept your hardware as functional but you can omit the “service” part!! Please cancel my HP Instant Ink program!! Like I asked you several months ago!! I love this service! I despise buying ink cartridges ($40-$50+) for 15-20 pages, and the ink dries up 3 months later when I go to print one page. For me it is worth it for home use. I have the low plan and my ink arrives well before the current cartridge is out. I have it set up on automatic pay with my debit card and I don’t have to get irritated when the ink dries up and I have to go to the store when I wasn’t planning on spending an extra $50 on ink. For me it is sooooo worth it. Obviously you’re not on a budget… kudos for you… but like many of us it’s not the same… why aren’t you allow to use the printer you bought even if you don’t have the “instantink service”??? I was paying for 2.99$ a month because I don’t print like that… they only sent me ink one time and it’s understandable because like I said I don’t print like that… I cancelled the service and it will take up to my next bill cycle for them to cancel and my rollover pages I have will be taken away. So this month I can’t use my printer… neither my rollover pages… and will receive a bill to pay for something i didnt use… is it fair??? Hi Nancy, I have this service, your printer will work if you buy store bought ink. Well, i wasn’t using the printer for a number of months. I am on the program. It will no longer print. Checked the cartridges and they….dried out!!!! The program will not replace since I have not printed 50 pages yet and can’t print pages without ink. Want to buy store bought and get out of the program but now worried based on comments that they will disable my printer and not allow me to use it at all. Ugh! Any advice out there? Nancy, you can always use your printer. But not the Instant Ink cartridges if you do not pay the service. Nancy, you say about being on a budget and not being able to use a service that you canceled because they took your rollover pages when they canceled the service as you requested and is it fair? Yes, its fair. Netflix charges you as long as your subscription is active, whether you watch it or not, whether you watch 1 show a month or binge watch 24/7. When you cancel, you cancel. You don’t get credit for unused time, roll over time, etc. They cancel your service and you can’t use Netflix anymore. Same with the HP ink service. you cancel your subscription to the ink, then you can’t print anymore until you go purchase your own cartridges that aren’t a part of the subscription. I’ve had the service since 2016. I always get my cartridges before I need them and I’ve never had a problem with them. I’m on auto pay, so I’ve never had a problem with that. I use the 300 sheet subscription. Certain times of the year, I print a LOT of pages, so it helps me a lot. I actually don’t have anything bad to say about the program except while chatting with customer service one day, it took a half hour to clear up a two minute issue. I hope I never have to call or chat with them again!!! That’s for sure! My cartridges are $48 and $52 each last time I checked, so it’s well worth it to me. I feel bad for those who had issues with the problem. Do your research before signing up for the hp instant ink scam. After using the service you can buy your own BUT you have to buy a full set. You can’t have the one you purchased and an instant ink one installed. Won’t let you print. Buy both and your set. Do I have to use Instant Ink when I buy a new HP printer with Instant Ink option? Hey Richard! No you don’t. They only have it as an option but you can use OEM and compatibles as well. I hope this helps. Cheers! I’ve been using it for 7 months and found that it’s saved me money. I was forever buying cartridges for my HP Officejet 4650 printer which don’t seem to last 5 minutes. In the winter I opted for the 100 pages a month sub because this is when the society of which I’m secretary meets. During the summer I reduced it to 50 pages. Although much cheaper for my usage, I’ve now cancelled because of very poor service. I started to get an “incompatible cartridge” message and after spending hours looking on the Support pagesI filled out the Contact form. I waited in vain for someone to contact me and after several days I cancelled my sub. It’s a total scam. I am also held hostage until I buy my own cartridge. I have been overpaying for this service for over 2 years, as I ended up not printing clise to ehat I paid for. My card info was stolen and they were unable to charge me this month. My daughter tried printing her homework and thats when I found out I am now held hostage. Even though I paid for 300 pages last month that I didn’t use, I cannot print at all. So they just took my money without providing services promised. The online chat with Pia made no sense. You think your paying for ink, but no pages. Pages in which you pay for on a printer you paid for. They only provide the ink, so you think you paid for the ink. Guess again. I have ink in my printer and a new one that is now useless along with my printer. Sounds like fraud more than anything. They tell you they can’t help you without a credit card, they have no corporate office, the supervisor’s can’t nor will help. I will not sign up again nor recommend this service. Beware! I’ve been just doing some home accounting, trying to figure out ways to save money since my landlady put the kibosh on my Airbnb. Decided to look into this little friendly service. As far as I can tell when I do the math, it seems it would be cheaper to go off of plan. I started off at the medium rate and didn’t really use it enough so switched down to $2.99 plan when I found out you can change plans instantly, if you need to print more pages than your plan, by just going online or calling them. (A great way to avoid overages.) I am a little confused by how many pages each cartridge is supposed to be able to print. It seems that in 2 years, I have only replaced cartridges once! That seems weird. But it also makes it seem like I don’t need the service, since I signed up mainly to avoid annoying errand of replacing printer cartridges which I seemed constantly to be doing with my other printer. So my question to the community is the following: is there a difference in the specs of cartridge you buy retail (e.g. prints less pages)? Also, re the very helpful comment that when you stop service, you can’t print, I obviously need to be prepared with back up cartridges in hand as the old one becomes depleted. All of which leads me back to the question of whether it is worth the hassle to save $20 a year (my guesstimate for how much extra I am paying, although it is pretty hard to figure exactly as the whole “pages” thing seems to be a subterfuge). Any numbers, experiences, recommendations–as long as you don’t call me an idiot–are welcome. Currently, I seem to print about 35 pages a month on average. That could change on a dime though as I am in gig-job economy limbo. Thanks in advance! I stumbled across your question while reading reviews – regarding cartridge capacity, HP states on their Website that the subscription cartridges do indeed have a larger capacity than even the retail XL ones. So are you saying, HP, that I buy your printer with this service with a free trial, with the monthly ink, with my printing usage being monitored? I do not like this framework because the service is only as good as maintaining my subscription and the usage of the printer that I have paid for along with printing paper. In other words, I would have to update my credit card information in order to use my printer under the ink service? I had high hopes that this would better my personal situation. But instead, I’ve wasted money on this program along with the product. I have decided to look for possible and stable solutions that can better my position with myself and the people I interact on a daily basis. The customer service is horrendous to where it be little the common man instead of offering solution in a professional manner. I for one will not take this form of indigency and I will no longer give a positive recommendation to my clients. How much does hp charge for their cartridges under this plan? Are they competetive? You don’t pay anything for the cartridges under the plan. They ship you a set of XXL ones that only work with the subscription and send you more sets when they predict you’ll need them. If you want to cancel or have a billing snafu and can’t wait to print, then you’re back to buying your own cartridges, the instant ink ones are technically “HP property” and won’t work if the sub isn’t working. You pay for the service not the cartridges. $2.99, $4.99 or $9.99. You keep it connected to the internet and it talks to the company and sends cartridges when you start getting low.It is based on how many pages you print and it tracks and charges accordingly if you go over. They spell it out pretty clearly, but read the fine print. I love it, by my eyes are wide open to the pitfalls. Instant Ink customer service is the worst of the worst! Lengthy hold times. People that you can’t understand. Promises made, thought never kept. Terrible!!! Really, really, really terrible!!!! Curious…I signed up and got my free first order…when the black ink I had ran out, I still had one HP ink cartridge I bought at Costco. I figured I’d use this before using the cartridge from the Instant Ink program…but the Costco bought HP cartridge would work…sheet came out blank…figured the printer, 3 years old, was dying…happened to take Costco cartridge out and try Instant Ink cartridge, which is slightly larger than even the standard 61XL cartridge..it worked immediately…Question..can HP shut down an ink cartridge, even one of their own, if you are signed up to the Instant Ink program? Never happened before, so it seems more than just a coincidence. Be very careful with the Instant Ink. If you print EXACTLY the number of pages you sign up for, then it’s a good deal. They monitor your usage and ship ink cartridges well before you need them, so you’ll never run out. BUT, if you use more, or less than the amount you signed up for, the program quickly becomes very expensive, especially if you go over the number of pages. For example, if you sign up for the 100 page/month plan, you can only roll over a maximum of 100 pages. So, if you’ve been using an average of 20 pages/month for 10 months, you paid for 800 pages of ink that you didn’t use. Now, go over 200 pages in one month, and you’ll end up paying exorbitant prices for the overage – even though you paid for much more than you’ve used. The bottom line is that for most people whose usage is variable, you’re better off buying ink yourself. Also, and this is important, if you’ve signed up for the instant ink program, and change your mind and cancel it, you better have replacement cartridges, that you purchased yourself – not through instant ink – on hand because HP believes that they own the cartridges in your printer and will turn them off. So, you’ll have to replace them with your own cartridges in order to keep printing. Tried the Instant Ink Service and learned the company uses page counts, not actual ink usage. This renders the service totally useless. I canceled my service and HP disabled my computer. Can I replace the Instant Ink cartridges with regular cartridges. I learned the printer will not accept unbranded replacement cartridges. Sorry, I meant HP disabled my printer, not my computer. I tried signing up for hpinstantink and because the Wi Fi was not operational I was sent a case number and phone numbers and web addresses to get back to them to finish signing up. When I tried getting back to them all I got was an automated statement which didn’t solve the problem. NO human support!! Lots of wrong departments (automated statements and “holds”). If a big business like HP can’t get their act together I decided NOT to deal with them. All that time and effort wasted. I think many big businesses are succumbing to robot ism and disregard to customers. I have had very good service from go with this program it does take a little bit for them to get you the ink. It is not overnighted delivery. I’ve been enrolled in the instant ink program for nearly 4 years. I was paying the monthly fee, ranging from $3.34/month to $6.53. My black ink was replaced once. So, I paid roughly $155. I can get an ink cartridge at Office Depost (one with extra ink) for $40. When I cancelled, the ink in my printer, that was still good, and not depleted would not work any more. I received the message that I needed to renew my subscription with HP Instant Ink in order to print. Total rip off! Don’t do it! Amy, the ink in your printer is part of a subscription. You don’t get to keep their ink because it’s not the regular or XL ink that you can buy in stores or online. Their ink can last for several months! I know they last for a long time because when I first signed up last year in September I received my first reorder of ink in December. To solve your problem, go buy new cartridges at the store or online, take out the Instant Ink cartridge(s), and return any used or unused HP Instant Ink cartridge(s) back to them. I can guarantee your printer will print again. Before I subscribed to the Instant Ink monthly subscription, I purchased HP ink in many stores, and my printer worked perfectly fine. The overwhelming number of negative comments about instant ink ordering process has made me think it is not worth the time and frustration of the program. I have just bought a HP 6970 and installed the packaged ink cartridges that came with the printer. At this point I have NOT signed up for instant ink delivery. So my question is when my ink supply runs low or out will the ink cartridges I can get from online or Best Buy work? Since I have not given HP my credit card info, seems all I would have to do is send back the originals and use my own. Does this pass the common sense test? It’s a total scam. I am also held hostage until I buy my own cartridge. The only way to stop this process is to have my credit card company fight to stop the billing. I have cancelled the service for three months and they still bill my CC. BTW i was suppose to get three months free service. Tell everyone not to use this service. The printer i purchased just over a year ago. They have replaced it twice. The printer just stopped working. May have to go back to my old reliable Epson. Demoman, when I first signed up for HP Instant Ink, I got 3 months for free, and I got billed $0.00 . The problem why your printer stopped is because you have Instant Ink cartridges in your printer, and you haven’t returned any used or unused ink back to them. I bet once you follow the steps above, and purchase new ink cartridges that your printer will work, and you won’t feel like an hostage to HP Instant Ink. I really was hoping to try this program.. i dont consider you not being able to use their cartridges to print a scam.. its actually quiet smart if you think about it? My ink runs me anywhere between $30-$60. For what i print i can maybe get 30 pages before my color runs out. So, i was thinking about signing up for 100 pages for 5$ give or take fees… In this case im glad they go by pages versus ink cartridges otherwise it would be pointless. my only fear is.. technical support, which, i have been using twitter to collect information from hp.. and they have been going back and forth with me for a few days, including the weekend. what other issues? i saw credit card information, and also credit cards still being charged.. what about timing.. how often are you receiving ink.. i can print 30 pages in one day and be out of ink? does that mean i have to wait 2,3, days? a week? im just curious because that will determine for me if its worth it. if i run out in a day and it takes a week? that means i can roughly get 2-3 inks a month? mmm idk. $30 for ink 30 pages.. or more ink for 100 pages a month for $5? im so up in the air! Jessica, I works for me. I don’t know how many pages can be printed per cartridge. I print a LOT of color pages and it well worth it not to have to purchase the cartridges. I have never been without ink. Every time I replace the cartridge when informed, that same day I receive an email that particular cartridge has been shipped. NEVER missed a beat. Because I am ok paying by the page, I try not to print less than half page, but I will if I need one word. This is a complete rip-off! I installed the trial ink that came with the printer. However, I was still charged a 5 page overage last month (my 1st month on the plan). I then realized this was a scam and cancelled it. However, they continued keeping track and 1 month later I was charged yet another overage and they claim that NOW my subscription is cancelked.. I’ve still never installed their ink and was using the trial ink that came with the printer. How is that Right? I have tried, but I can’t get a hold of anyone to help. It will be interesting to see if I start having issues with the printer. Oh, and don’t forget to send back any unused ink csrtrudges, or they will keep billing you!! That’s just wrong. You shouldn’t be charged overages if the instant ink cartridges aren’t installed. I’d try to get the credit card company to help. I’m still using the starter/trial cartridges and haven’t opened the 1st set of instant ink. I’m “subscribed” but have never been charged for months now. That’s how it is supposed to work. I LOVE THE HP INSTANT INK SERVICE!!! Have not had one negative experience. I have never run out of ink. For the past two years, every month except one I printed my 300 copies. I may start the month off slow and end up having to print 500 copies, I do not worry about ink. I am thrilled that I don’t have to go to the store and purchase ink. I believe what I pay for overages balances out when compared to purchasing the cartridges. IT WORKS FOR ME!!!! It does pay to read information before you purchase/sign on because like most things, you don’t know about what it doesn’t cover until you have an issue. I agree, Edna. The plan rules are very clear and the system works as intended. The service may or may not be cost-effective for some users, but then people should think about the cost per page and sign up only if it is a good fit. If you are paying for 100 pages and only using 20, then you have made a bad decision. It’s not HP’s fault. If you choose the wrong plan and get hit with a lot of extra charges, then that’s your fault, not HP’s. I am in my third month with the 300 page plan, and so far I believe it is a significantly less expensive way to print than running to Staples to buy new cartridges. In addition, instead of printing everything in draft mode to reduce ink usage, I can print everything in normal quality and get better looking results. I only use about 1 to 5 pages a month. No color. I was thinking what if I start printing photos? Will it be worth it. It is not worth if for me to print 5 pages one month and not printer activity for two months and still have to pay the low cost plan of $2.99 a month. Still printing photos would not add up to it. I really don’t want them monitoring my activity. I think it is privacy invasion. Still I am confused. It is convenient not to have to go to Walmart. May be better to go to the library that is 2 blocks away and 10 cents a page. I never know when I am going to Walmart. I may go the same day the ink came. It sound like a rip off at the same time as convenience. If you print photos every month then the subscription should be a good deal. I think part of the reason for it is to encourage people to print more photos. They put all this research into photo printing, but when a few 8×10 photos goes through $60 worth of ink, nobody wants to print them. For 5 pages a month of B&W, you’re better off with a cheap laser printer that won’t dry out on you. 18 days since order and the ink has not yet arrived! Very Frustrating!!!!!!!!! This company provides the worst service ever – wish I had never bought it. Printer stops printing, when it thinks there is not enough ink. I cant even print B/W because it deems Cyan is out, which it is not. It might be low, but could still print. I live far from an ink supplier and cant print important meeting notes. Instant Ink was not even shipped until 12 days after ordering it and has not yet arrived 18 days later. I DON’T RECOMMEND HP for anything! I currently run my printer with the black cartridge, and my printer runs fine. I get an occasional error message that states “You are printing with a single cartridge,” and I hit the OK button on the screen, and the printer continues to print in black and white. I also could print when either color was low or one was completely out. I turn off the printer, unplug it from the outlet for 2-3 minutes and plug it back up, turn it back on, and print a test page. This works for me. My old Epson would ask if I wanted to make black from a combination of colors, if my black cartridge ran out. Since I hardly used color printing, this worked out well for me. It gave me time to buy another black cartridge. Since the Epson, neither the Kodak (great until the paper feed stopped working), or now an inexpensive HP 2540 All-in-one, do this color mixing.. I do more scanning than printing, so I can post photos on social media, but do need to print an occasional document. I certainly don’t need the InstantInk program. My beef with HP is that nothing will print if even one color is low, or the black is low. I currently run my printer with the black cartridge, and my printer runs fine. I get an occasional error message that states “You are printing with a single cartridge,” and I hit the OK button on the screen, and the printer continues to print in black and white. I have used an HP printer for years. I had to finally buy a new one this year and it has come with an eligibility for instant ink. I am reading/researching to decide if it is worth it for me, and which plan might suit me best. I have read several threads on these forums, and several other forums. There are some common themes. Clearly many people have not read the terms and conditions, or basically do not understand how the scheme works. They signed up and only later find out how some of the issues/features affect them. THEN they complain at being ripped off, or that the scheme is unsuitable for them. It is a subscription service – if you think you might like it, read exactly what it entails before joining up. It is not simply a “discounted ink, automatically sent ” service – you pay according to how many pages you print, not on how much ink you use. I completely agree! I pay the $9.99/month. I am a school teacher and the program is golden for me. I considered backing down to fewer copies but changed my mind. I have had this for over a year. My cartridges are always early before I need them. I even lost one and they overnighted one at no charge. I found CS to be terrific. I only paid $79 on Amazon for the printer with three free months. If I quit tomorrow and had to get a new printer, I feel that I have already gotten my money’s worth. I completely understand the frustrations. I did not know it would quit if you stopped the subscription. I don’t like that one page with a single line counts the same as a full solid page, but I still love the program and my eyes are open to its flaws. The company is in it to make money in the end. The printer is super inexpensive and it makes sense for the big brother issues. I have to say again. I LOVE the program anyway. I love how easy the machine copies, scans and prints and as a teacher, it has saved me a fortune. One day, I may go down to $2.99 a month if my copy rates decrease. Some months are heavier than others, but I only went over once. I regret hearing about the problems. But nothing is perfect and the terms explaining that it won’t work without the service should be upfront, if they are not. I like knowing I can print whenever I need to and that I have a cartridge waiting when I need it. The instant ink ones that I get are very large and hold a lot. I would recommend not putting in the disk to set up your computer upon purchase. I got a tip on here to just let my computer search and add it on. I did not get any pop ups or add-ons that I have heard come with downloading from the disk that comes with it. That was great advice. Hopefully, it will help someone. I still think its the best thing going for my needs. I remain a fan. New to this forum but just signed up for HP Instant Ink for my HP 3637 and there was a FREE option if you print less than 15 pages a month. No monthly charge unless you go over and then $1.00 for the next 10 pages. Free ink under this plan and unused pages will NOT rollover, but that’s okay. My needs are minimal and I bought it strictly for the WiFi option. Fingers crossed it was a good decision. More people will write of a bad experience than a good one, so hope this balances the scales a little!! Almost all of the complaints I have read about in comments were covered up front. I usually call rather than use chat. Customer service has always been ok. I have gone over my 300 page limit and been charged what they told me I would be. No problems here. I cancelled Instant Ink because of having problems with wireless connection. Now it is printing but keeps coming up unable to connect to instant ink. I don’t need it to, but it is now saying that I soon will not be able to print. Do I just need to purchase new ink cartridges? Driving me nuts. Yes, you need to buy new cartridges, and take out the ones from HP Instant Ink. It seems to me that your continued use of the Instant Ink will incur you charges on your credit card that’s on file. So the best chain of action is to discontinue using HP Instant Ink cartridges and return any used or unused ink to them. I just purchased the 4650 and will the ink cartridges that come with it… will they work? I’m hoping the ink cartridges are not those associated with their plan for I don’t plan to sign up considering all I just read. I haven’t received my printer, it’s in route and I’m now wondering if the ink it comes with is going to require me to sign up. I purchased a different printer fa rom you so I can’t guarnatee it works the same, but the cartridges with my printer were not instant ink, they were just normal cartridges. Signing up is completely optional and if you do sign up that is when they will send you the special instant ink cartridges. As for all the negative comments here, it seems to me most of them are people who didn’t read the terms to understand what they are signing up for. I don’t think it is fair to call something a scam when it works exactly as advertised. The biggest complaint seems to be that when you cancel you can no longer use your cartridges. But you aren’t buying the ink, you are paying for the convenience and if you stop paying you no longer have rights to the ink. I have been very happy with this service. I print a lot of color full page items and photos and if I was paying for the ink, it would probably cost me $30 a month, and instead I am paying $3 a month and my ink is always delivered well before I need it. The savings aren’t as good if you are printing less ink intensive pages, but I think it is worth looking into. The only downside for me, is I have to be more conscious of what I print and keep track of how many pages I have left for the month, which isn’t always that bad. I had an old HP printer before this one & never had a problem printing w just black. Now it’s telling me that the color is low & it will not print only black . Does not print at all.There is still ink in the color cartridge, how can I solve this problem? So am I replacing a cartridge that still has ink left ? How is that cost effective.?!! Oh yeah this printer will not work w çostco filled cartridges. Only HP!! We just cancelled our subscription because we still ran out of ink due to not receiving a timely shipment and NOW… the ink that we’ve already paid for won’t work. Such a scam! Simple question.. If you need a new ink cartridge will it be sent to you free or is there is a charge for each black or color cartridge? Yes I see people have commented on how you don’t pay for “ink” but for pages according to the plan you choose.. But as we all know if you have no ink left in the printer then you can’t print a damm thing so what good is having “pages” left on your account? I would definitely only print under 50 pages a month since all I would use it for is to print coupons or recipes so the $2.99 a month plan would be the route i go for..
As well do these HP Instant Ink cartridges last longer than the standard HP ink cartridges you can buy in any store? I would be curious to know how much you actually pay for each cartridge and is the black and color cartridges the same price? HP 63 black and tricolor cartridges included and it has wireless and mobile capability. The fee that they charge includes everything. The cartridges when you need it, the shipping and everything else. The only thing is that you won’t get a new cartridge every month as some people think. It will come to your door on an as needed basis. Also the Instant Ink cartridges are about a XXL or XXL which you cannot buy in any other store. Cartridges are sent free. I also paid $2.99 a month. In my situation, the printer (purchased 8/2016) indicated a problem. When checking, I found the genuine HP cartridge leaked and I had no replacement on hand. I called instant ink, understanding the predicament, the representative stated that shipment would be “expedited.” It took a week to receive the ink. After 3 days of technical support, it was determined that the HP Office Jet Pro 6968 had a hardware problem and was not fixable. I immediately cancelled instant ink because I wasn’t going to be printing on the printer anymore. I received an email indicating that I was welcome to use the cartridges until the end of the billing cycle, at which time they will cease to work and should be returned. Yes, I will be stuffing all the cartridges in the bag and mailing it back to them. The technical support was difficult to understand, I was transferred from one department to another and had to repeat the situation over and over and over, even if I gave them a case #. Instant ink is not for me and neither is HP. As I read all the comments, I am still leaning towards purchasing the instant ink plan. I have a question, when on the plan, in any given month, can one exchange the plans cartridges with self purchased cartridges to complete a printing project? Said another way, will on the instant ink cartridges be the only ones to work in the printer when you are on the plan? I am thinking HP will not allow any other cartridges to work. Yes you can. I’ve had to do that several times where I had to print a surprising amount of colored pages. 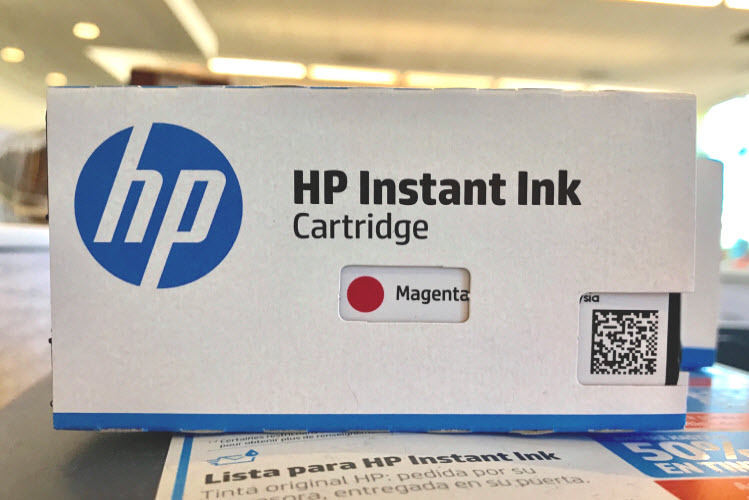 You can use regular HP cartridges if your Instant Ink cartridges go out quicker than expected, It’ll just let you know that they are not the Instant Ink cartridges but genuine HP cartridges. ok so here’s how i see it. I buy Envy 5466 in the UK for £46 (with jan sale discount). Sign up for 9 months of free ink (up to 300 pages per month). when 9 months up, I cancel and throw the printer away. Total cost £46 for virtually unlimited ink for 9 months. Very poor customer service in my opinion. They were either unresponsive to consumer complaints or combative. I will never buy their products again. Beware of their friendly style with advertising without having any true representation to support their friendly style in advertising. It’s a big company showing it will spend a lot of money to advertise and sell it’s product and then not assist the consumer who supported it. . If I cancel my subscription, can I take my existing cartridges and continue to use them? If not why not? Why can’t I disconnect the printer from the wi-fi? If the printer is not communcating with HP why wouldn’t it not print? Also can’t I disconnect the paper counter from transmitting? Does anyone know how that is done? What needs to be done to cancel the service and continue to use the existing cartridges? Any update on this issue? Did disconnecting the printer from wifi allow you to continue to use the ink? I cancelled my service and now ink I bought in the store will not work, Really, so now my printer is useless? try cutting off web services in your printer settings and see if that helps, set printers default settings and re-install your driver and software. I just bought the HP8715. I am so confused. I am trying to set the printer up but it won’t connect to my WiFi? I do not want to participate in the Instant Ink program. Therefore, should I NOT of inserted the cartridges that came with the printer? Also, did someone say that I CANNOT use regular ink cartridges purchased at Walmart? How do I get around the Instant Ink program when setting up my printer? “When you are setting up the printer for the first time you must install the SETUP ink cartridges that came with your printer. If the Setup Cartridges are HP Instant Ink compatible Setup Cartridges you will be given the chance to accept or decline the HP Instant Ink service on the printer’s display before installing the drivers and software onto your PC. So, decline the Instant Ink service and continue with the setup. Did anyone use one PC with two printers in the network, one printer uses instant ink, the other uses your own ink cartridge, so that you can choose which printer to print? No problem? Years gone past I had an Epson printer with those cursed chips. The write up said the chip could read the cartridge ink levels. I was curious as to how this was achieved so I cut open the cartridge, no such level detecting was seen. I then did a test.. Inserted new full chipped cartridges and made the printer print BLANK pages until the printer said there is no ink. . The printer just counts the number of pages and NOTHING to do do with the ink level. The printer then locks out with new full cartridges until you buy new or reset the chips. HP have gone one step further to have your computer read the printed pages or blank and at your cost upload it to HP. As has been said the printer is said to belong to the purchaser but NOT the cartridges. However if you were to refill the HP cartridges then with HP Instant ink they would know you are refilling and then at that point lock off your printer. I don’t like any one being able to know what I do with MY PRINTER, I won’t buy a HP Printer. This seems like a great deal after reading through the requirements and details. I also read all of this forum and I see similar issues, most of which seems to imply a misunderstanding of paying per print versus Ink. I also see a misunderstanding about stopping the plan and buying your own ink cartridges. I do not have an issue with the above, I will be concerned about delays in shipping perhaps. I pay 60.00 if I buy black/colored ink each time and (2.99/mo) 35.00 a year with this plan. If I ONLY get two refills I will have saved: 120. — 35. = 85.00 a year. But I know i use more than 2 of each cartridge a year. I signed up for this and it was a mistake. Unbelievable rip off. I will just get my cartridges through Amazon.com. You don’t get the cartridges when you need them and if you make a mistake on a document you print and have to reprint it, you get charged for that. This is unreasonable considering how many times documents today need to be redone. This plan isn’t for everyone. I mean if you print a maximum of 50 pages a month, you’ll spend $36 +tax a year for ink, shipping and it being delivered to your door. But you can go through Amazon and spend more $$ than that throughout the year. Do not make the mistake of signing up for this awful service. Never received cartridges in circa 18 months. Subsequently had to buy my own HP OEM cartridges. Then got a message on my printer unit ‘incompatible cartridge’, thus rendering my 18 months old printer unit useless. I have cancelled my subscription. Laughably got an email from HP which among other aspects requests that I return used cartridges in their ‘recycle’ bag. Which obviously I had never received. I had no cartridges to return as HP had never sent me any in the first place. Given the device is now useless I’ve had to take it to the tip and dump it. It was not cheap to purchase either. Since the service is charging you per page wouldn’t it be a smart idea to have two printers? One printer with the service (for heavy ink prints) One printer for backup / light ink prints using traditional cartridges. I have tossed in my mind if I should quit the plan, but I never do because I have been concerned that I will run into problems. It looks like that is true. The thing is, right now, I am not printing much at all. I am writing a book so I know that I will have to print out pages to look over and proofread and edit as much as I can before submitting it to another editor. It sounds to me as if I just have to keep paying the monthly fee and when I do get to printing, I will be okay to print. I like HP in many ways, compared with some other brands of printers I have used in the past. However, if I buy another HP printer, I most likely will not join this plan. I am on the 50 page plan as I no longer print for my career. I am retired now and I am trying to cut back on printing as much as possible. Marilyn, you’ll be ok to print when you’re ready to proofread. I would suggest that when you are ready to do some mass printing change your plan to accommodate the extra pages or purchase some non instant ink cartridges to print “offline”. If you do quit the plan you must swap out the cartridges for the printer to work and remember to send HP their cartridges back. Good luck with the book. I just did some simple math. Sams Club has the ink in XL sizes for about $136 (CMYK). The yields is rated at ~1600 pages. That’s .085 per page. If I get the “frequent” plan for $10 I get the first 300 for $10 and the remaining 1300 for $52. So for $62 I get 1600 prints. That, of course, assumes I am printing all of that in a month. I’ve never, ever used an XL cartridge in a month. Never. I don’t know how much I will be printing, but I figure it will occasionally be more than 300 pages and usually a little less. So regardless I’m in for $120 per year, plus my “overage” fees – which I’m going to take a stab at being about $10 to $30 for 3 to 5 months per year. So more realistically the numbers will be the $120 per year, plus a worst-case-scenario of $150 in overage – or $270 per year. I would likely be buying two XL sets per year ($136 x 2 = $272) – for all intents and purposes this is the same cost of the Instant Ink program! The exception is that I’m less likely to economize when I am running low on ink with Instant Ink – which is where HP wants me to be. Believe me – the accountants and business psychologists at HP have done the math and behavioral analysis. They know their margin and have set the price to keep us in the program because that’s how the value of the business is set now-a-days. It’s all about recurring revenue while keeping your margin intact. I do take issue with their claim that it “saves you money.” I don’t think your ink spend will be significantly different with, or without Instant Ink. I print many 4×6 full color photo and occasionally print 5×7 and 8×10, The program has saved me a lot of money for color prints. I always buy the photo paper when it is BOGO free. I bought an inexpensive printer which I print black and white pages and low color amount pages on. It works really well because I can keep my subscription count for heavy color intensive prints. Save money my rear end! Also, when you cancel your subscription they hold your printer hostage by not allowing you to print with one of the cartridges they already sold you. It is flat out stealing! DO NOT BUY AN HP PRODUCT. Technically, you signed up for a “plan”. The ink cartridge is part of that plan. HP did not sell you the cartridge – they provide it for you to use under the agreements of their plan. When you cancelled your subscription to the “plan”, you are no longer paying the fee to use the cartridge that goes with the plan. If you had purchased that same cartridge at the store, it would be much more expensive. Signing up for HP instant ink is not for everyone, which is why it’s important to read all the information before signing up. On the other hand, HP instant ink works great for me. I print 300 full color pages each month – I would spend much more than 9.99 on ink. All I will say is this: any people who may be considering the HP Instant Ink “plan”, run, I am telling you, RUN, do not walk in the opposite direction. It is a horrible, HORRIBLE SCAM. HP not only makes money off of you, they control you, and I am not exaggerating in the slightest. I will not be redundant with all the reasons why, but just sample some of the comments on this site and it should be reason enough, but it is astonishing to me a company like HP, which has a stalwart reputation, would do something like this to their customer base. It is insane. BIG BIG BIG SCAM. Should never have started. Tried to change down to a lower price, would not let me. So figured I’d cancel and restart. There is nothing to tell you if anything I did even worked. Finally got through to a rep, canceled service. It also took them over a month almost to the day according to the history link I finally found to change to the lower price and they still charged me the higher amount. I now have two boxes of both inks that I can’t use as the ink belongs to HP and MUST be returned. I started thinking this would be a big saving in money and time. It really does not save anything. Going back to ordering my ink from either Amazon or Walmart. It’s not really stealing when your signing up for a monthly service plan. You are basically paying to print so many pages a month with the ink cartridge they send you. If you do not use that many pages, they will roll over so many of them. When you cancel your plan, HP isn’t going to allow you to keep using the same ink cartridge that you were using for you plan. With HP instant Ink, your basically “renting” an ink cartridge to print a certain amount of pages each month. You don’t “own” the cartridge. Horrible services. I stopped my subscription and now after 4 chats and 6 phone calls my printer is basically useless because every time I try to print an error box comes up telling me I need to connect to the internet for ink service. When i close the box it just pops up again blocking my ability to print. Then I have to physically press OK on the printer before the job will print. This has been going on for 6 months. SO FRUSTRATING! And they can’t resolve it. DON’T TRUST THEM. It sounds to me like you need to connect your printer to the internet… It’s pretty simple. Just follow the directions on your printer. Once you are connected to the internet, HP will be able to unblock your ability to print because it will be able to monitor the number of pages you have printed under your plan. Without this, HP cannot track the number of pages you have printed which is how they provide their service. Also, connecting to the internet is not something HP can fix – you have to do this. the service is worthless. my ink is dry and they have no way for me to tell them they need to send another cartridge. 3 years its been and its drying out even though its not empty. The program is a scam! They charge you by the page to use a printer that you’ve already purchased. They should be charging for ink not how many pages are printed off of MY printer. If HP cared about its customers it would monitor my ink levels and send me new ink, not bill me for using a printer that I already purchased from them. As if that weren’t enough, if you cancel, they also bend you over by putting an expiration date on the ink that you’ve already purchased from them. I put the last of my brand new in into my printer today and canceled my service. Then they told me those brand new cartridges would stop working in three days.Total lack of concern for their customers. I am going out to purchase anew printer just so that I don’t have to deal with them. The service buys you prints. Not ink cartridges. Those are the terms. As for not being notified about overage charges, have you tried contacting HP to find out why? it’s a rip off. sign up for too little and you go over, big cost. sign up for too much and you spend for more than you need. like most people, my printing at home has general low usage and spikes a few times per year. That type of usage does not work well with this program. I spent nearly $300 and got $100 worth of cartridges. when I cancelled the service, the cartridges stopped working. So, I’m out $200. I’ve had with this rip off! I’m going to purchase a new printer tomorrow…not HP! Totally disconnecting from HP-Big Brother. And, to make myself happy, I’m going to throw away their NEW cartridges. At least I’ll get some satisfaction out of screwing them back! Does anyone know how to completely sever all ties with HP and get them out of MY printer? I wonder if it’s even possible. There were so many Internet, password, and account information entries as part of the printer setup, even before signing up for the stupid Instant Ink program. HP instant ink cumbersome to use. After sending a print job to the printer it takes 30 – 60 seconds before the printer begins to print. When low on remaining pages it will not print until I accept the additional fee for going over my allotted pages or upgrade my plan. I do not recommend it. This is a suckie program. I warn, do not sign up with HP for ink. Should you decide to discontinue the program they disable the printer and you cannot print as the ink cartriges are not compatable anymore. I am now stuck without a printer that works. I will have to spend more money for cartriges that will replace the ones HP sent. This is a rip off to consumers. Do not do business with this company and their ridiculous ink programs. The service does not buy you ink cartridges. It buys you prints. The ink cartridges are the means by which the service provides you prints. Those are the terms. Are unused ink cartridges a waste? Sure. But nevertheless, those are the terms. Take it or leave it. I’ve had this service for three years. I’ve made 12,000 copies. Total cost has been $437. I have been sent 25 ink cartridges. If I did my math correctly, that comes to four cents a copy. I would usually have to drive a total of 30 miles to get new ink – something I didn’t like to do and it wasted time and money (for gas)! I had one occasion when I did a lot of printing and ran out of ink. I made a phone call and they sent a cartridge in just a few days. I have no complaints about this program that HP offers. I have had absolutely no problems with the printer (Envy 7640). Just do your “homework” and make sure this program will work for you. I’m on the 300 pages a month. Thank you for this post, you brought up some good points to consider. This post is quite dated now so perhaps what I’m about to comment on is no longer applicable. There are recent replies however, so I will press on. You neglected to mention that while HP does charge for page overages they do allow the user to upgrade their plan effective immediately or at the start of the next billing cycle. So there is a little flexibility with the overages, an important point for anyone to consider when making their decision. I am disappointed that most of the comments did not add anything of value to the post. Instead it became a sort of HP complaint dumping ground. About 90% of the comments demonstrated that the poster did not have knowledge about how the instaink program actually works. A startling amount of people simply signed up without reading the terms of service or apparently even reading through the FAQs. I implore those who visit this blog to not use most of the comments when making a decision to go with the HP InstaInk service. Instead get the plan pricing and do your own math to determine if the subscription service is the right choice for you from a pricing standpoint. Then consider how much any possible delay in getting your subscription ink could inconvenience you or interrupt your work and/or print jobs. You could give it a go for a short trial and if it doesn’t work for you get rid of it. Sometimes they offer a free trial so you can try the service without having to pay. It is important to note and understand that if you choose to subscribe you are paying on a per page basis. If you stop your subscription the ink cartridge will stop working. Much like how you own your tv but your cable won’t work if you don’t pay your bill. Yes, the tv is yours but the cable you are subscribing to is not. Hopefully this analogy will help people understand how the HP ink service works. If you cancel your subscription you will have use of your printer as soon as you replace the subscription ink cartridge with a regular retail cartridge. I think that those who print photos or in colour on any sort of regular basis will get the most value out of the service. It is painfully and sometimes hilariously obvious that most people did not bother to read up on what they were buying before signing up. A small percentage of comments are from informed individuals who understand the service and are sharing genuine and valid concerns/complaints/points. I do NOT work for HP nor would I want to. 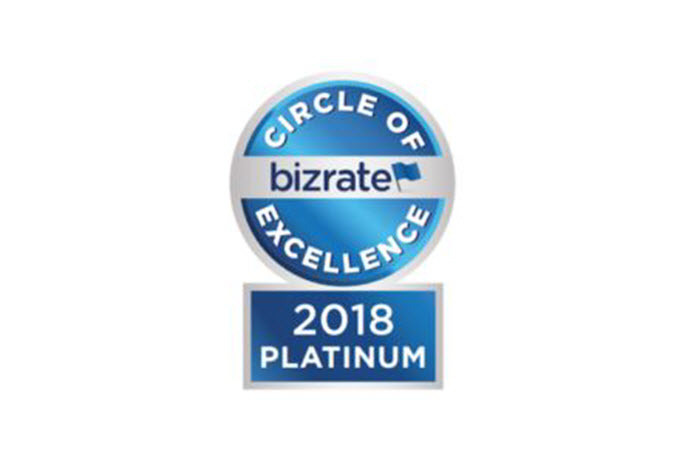 I am simply promoting the notion that one should have enough knowledge and understanding of a product or service before offering their two cents. I am ready to throw my printer out the window! It is sending multiple messages to my computer telling me to sign up for Instant Ink but when I go there I learn that Instant Ink is not available for my model. If I leave my computer for any length of time, I come back to find pop-up ads telling me, AGAIN, that I should sign up for instant ink. In fact, as I was typing this I was interrupted by yet another one. I sometimes find DOZENS of these. ARRGHH!! I’m enrolled on the 15 pages per month free subscription. I have my own colour cartridge in the printer which the printer does not recognise and therefore not under the subscription. However, the black cartridge is an instant ink recognised cartridge. I have printed 14 pages and have one page left till 20 September. If I take out the black cartridge and replace with my own, I am assuming that the printer will stop recognising that I am under the program and I can print at will until my cartridges run out. Meanwhile, I should expect to receive a shipment of black and colour cartridges under the program and am wondering if I insert the spare instant ink cartridges after my own supply runs out whether the plan will recommence for one month ( 15 pages) again from the time I reinsert the spare cartridges? I have an HP low cost black and white printer and just purchased an Office Jet 3833 that offers this Instant Ink. So I gather, I can just use the laser for anything black and white and the Office Jet for color and photos and get by with the free plan! The low cost laser was 100$ CDN 7 years ago and a toner was 17$ and I still have some left. I Thanks you all for the comments. Still I do not know if I am going to subscribe to Instant Ink. Useless. Tried for a month then cancelled. Lost control of my own printer. Wanted to DELETE my accpunt with them along with all my personal payment details but dont seem to be able to do so. Support from HP absolutely useless. My printer now will not work (instant ink cartridges) so going to try shop bought ones and reset print. Hope it works !! This program is worthless and a waste of money. I used the program for a couple of years and cancelled it due to the restrictions. I then find out that the cartridges sent to me (I only used up a black cartridge during the time I subscribed) cannot be used after I cancel the subscription. This is a service that des not meet the HP standards I have been pleased with in the past. Definitely a negative consideration for future purchases. Instant Ink is a clumsy and awkward attempt to move printing closer to the SAAS model (but with hardware you must buy). The margin on ink is obscene and the fact that my new HP8720 no longer has any practical way to cancel a print job. My previous HP had a big “cancel” button on the front – now HP says I have to go to the printer queue in Windows to cancel a print job. Sadly, by the time you click, click, click, click, click your way into the printer queue the whole job is already spooled to the printer and it’s fast enough that a mistakenly large print job just exhausted your monthly allotment of prints. My tin-foil supposition is that this was done entirely on purpose. Instant Ink is a bad deal no matter what angle you take. Anyone thinking about doing this… DONT. Simple as that. DONT! Read all of the negative comments and I dont need to say anything more. This is a total waste of money. Goto a Walmart or office supply store and buy your own ink!!! Epson XP442. Installed compatible (non-Epson) cartridges. The Printer does not recognise them – can I override to use the ink I purchased? Go to Control Panel > Printer on your computer. Right click on the Epson printer icon then go to Printer preferences. Save your changes. Try printing with your printer. I didn’t want their ink service to begin with but there was no way around it, they force you to sign up. I have cancelled their service, installed my store bought cartridges and they are still controlling my printer, IT WON’T WORK. I am so ANGRY!!! I’ve always liked HP but this one is going back to the store tomorrow and I will never buy HP again! How does a once prestigious electronics instrumentation company loose its way and become an ink cartridge scam shop? Over a year of payments and I too am hostage to HP for cancelling. This is the final nail in the HP coffin. Time to buy a non-HP printer and be done with them for good. If I wanted the buying the used car treatment I would go buy a used car! This is not the behavior I had with HP over the years when they were a fevered brand. I am furious I was told when I purchased my printer not even two months ago after looking into the Instant Ink program that I could use my starter ink and not be charged until I put my new ink cartridges in that they would send me, well I dont use my printer for much just time to time, all of a sudden I got a bill through my email from HP and I am still on my starter ink I called and they said my starter in had something in it that was triggered when I signed up for this account. Well that did not sit with me and I cancelled the account because that is not what I was told. I felt I was held hostage by HP and was not able to use my account because they said because I cancelled my account after the billing cycle that they would continue to log my printer usage and charge me so I felt I could not use my printer. Well I thought how dare they to tell me how much I could use my printer on my still free starter ink, called them and made sure I was not charged as I was not going to pay they did something that made sure I was not charged. HP you have lost a customer that always bought my ink from you online and will not buy and future products from you. You need to train your staff better, felt like I was tricked into this program I am not longer with. My printer does’t work, even though I’m using my own ink cartridge. This is outrageous! PLEASE WHAT IS THE SOLUTION?? I had to remove all wireless settings on the printer, and I think I made some changes with the printer settings on the PC too. That fixed it and I just use my old printers USB to print. Only super annoying part is every print requires me to press OK on the printer’s screen to by pass their request to connect to Instant Ink. So, you can’t set it to print multiple copies, then leave the printer for a few minutes and come back to a finished print job. You have to stand there and press OK on every single copy. :O But, that worked for me. Oh I forgot one thing. I removed any eprint/wireless printer drivers. I cancelled my HPInstant ink subscription because it just wasn’t working out. I wasn’t using the printer enough to justify the ink sent. I have two full boxes of color and black ink so there’s something wrong with their “accounting of my printing”. I set my cancel date for a week ahead and the day after that date they charged me for another month. In order to use my printer with the newly purchased NON instant ink cartridge I deleted the printer from my computer and internet system, took out the offending instant ink cartridge and reinstalled the printer using USB connection. Problem solved. Now I get to demand that they return my $10.69 and send back all the ink that’s sitting in my office…… Won’t make that mistake again! My CC expired and my bank failed to send me a new card. You guys expired the account which was fine, but you also locked up my printer. The printer will no longer print and it give me an error message now. This is completely unacceptable to me. You have basically locked up a piece of equipment that I own. Not acceptable!!!! I liked the service and would have stayed enrolled but you jerkwads locked up my printer. Not cool and I will tell everyone about this terrible experience with you. I was considering the ink program but after seeing how HP took control of my printer stopping me from printing with after market ink that btw saves me a lot of money since I am on the permanent disability budget and CAN NOT afford the HP original cartridges for the 4 HP printers I own. I think it’s disgusting that a company wants to control what I as the consumer does with a printer that I paid for and is OUT OF WARRANTY anyway, that’s to much control and should not be allowed. I have disconnected ALL my HP printers and uninstalled the programs with the intention of never using HP printers again after 20+ years of loyalty but Susan Whitings comment changed my mind and I will be doing the same USB installation she did to take back my control. We have to remember that “some things are just to good to be true”. Happy printing! Just got done opening my new printer and reading the card on this . Thank the good Lord I read these reviews, I’m avoiding this like the plague ! ! ! ! I get my ink on eBay or Walmart. When I want and as much as I need, Not going to have someone dictate to me and watching over my shoulder all the time. Thanks fo much for letting me know. So sorry you folks had to learn the hard way. Waste of money, even at the lowest price point. It is also not easy to cancel online – even the HP rep I spoke to admitted that you have to call to ensure cancellation. Note that YOU MUST REMOVE ALL HP instant ink cartridges if you don’t want to get charged beyond the cancellation date. It seems you rent, not buy the cartridges. Worse, the ink dries out in the cartridges if you do not print often, yet the “smart” chip they contain will continue to show that the cartridges are full and thus not eligible for replacement. They would not reverse the monthly charges I paid during the 3 months that I thought the service was cancelled because I made the mistake of only replacing the cartridge that was empty. Don’t subscribe. We actually enjoy the instant ink, we made sure to read all the small print first, this will save us almost $50 a year, we are totally fine with that. No one has mentioned the junk pages my printer kicks out – telling me the printer has just received an update, etc. Are these counted towards my free/month? HP says there is no way to turn off these random, unrequested print jobs. This sounds like a great thing for someone like me — I have a laser printer for my regular print jobs. I just want a color printer for photos and crafts which probably won’t exceed 15 pages a month. Even if I’m paying a dime per page in overage, it’s a secondary printer that will sit for weeks at a time. Thoroughly annoyed! I had been on the plan on th elower plan I have had to increase it to the top tier as my printer needs have changed and I need to print now large amount of important duplicates of forms. So I change my plan, but do you think I can use it?? No! Its my printer why can I not change the plan with immediate effect allowing me to print what i need today! This is my printer HP! Not yours and I didnt have a choice. If I had known i have to wait until the end of this month for the new plan to take effect why should I bother?? Try to contact someone on support do you think theres any one there i can talk to No! Only £33.00 for a one of chat. Im fumming!!!!! Does anyone know here how i can increase my planm with immediate effect so I can use MY PRINTER!!!!! I recently bought an HP ENVY 5055 Photosmart printer. The dales people tried their best to get me to sign up hor HP’s instant ink. I declined. I turned off the wifi on the printer and made sure my router didn’t recognize the ip address of the printer. I still am getting messages from HP to subscribe to their instant ink program. I occasionally get messages from HP that there is a new update to download for my printer. When I try to download and install the new update, I receive a message stating that the update failed. I contacted HP support and I was told that because I was not subscribed to their instant ink program that I couldn’t download any new updates for my new printer. I glad that this was an inexpensive printer. This printer uses HP 65 ink cartridges that are rather costly. this printer drinks ink like no other printer I’ve ever owned before. I’ve tried using refurbished ink cartridges to see if the printer will use less ink but there wasn’t any difference. There also wasn’t any difference when I refilled the original HP cartridges either. I talked to an HP representative from the electronics store where I purchased the printer and was told that almost all of the new HP printers are designed to use more ink than the older HP printer models used. So, now I’m done with HP for good! I have a new printer that is not under Big Brother’ (HP) control. As far as I’m concerned, HP is doing their best to lose customers. If you are printing a lot of text, you might consider buying a monochrome laser printer instead of instant ink. The printers are a bit more expensive upfront but they provide more prints per cartridge than most inkjet printers, making them a better value in the long term, and the cartridges won’t dry out over time like an inkjet printer. 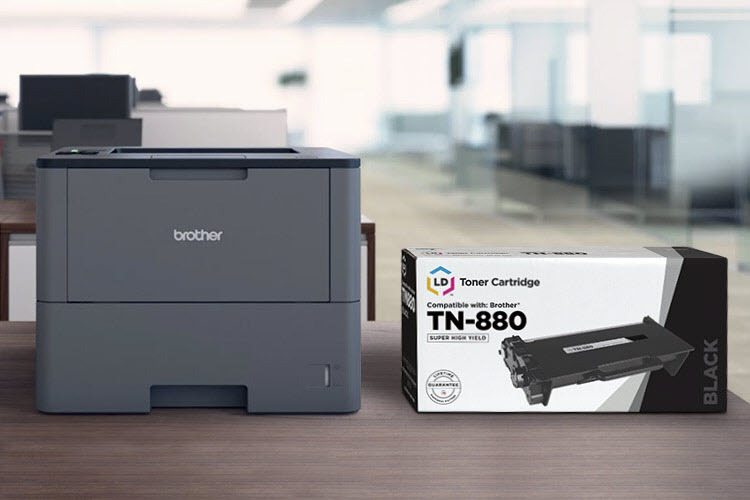 Check out our article on Inkjet vs. Laser Printers: https://www.ldproducts.com/blog/pros-cons-of-inkjet-and-laser-printers/ to see if a laser printer is right for you! Hope this helps! I have been charged twice and never received any cartridges! i have just fixed up my printer and the grandchildren have just put the inks in and i have printed the test page dose this mean i am now signed up . or can i just get on with other inks I thought i had to go on line to sign up for the instant ink plan . I would be gutted if i never had a choice before I started . You need to enroll in the instant ink program, you won’t be signed up automatically! It amazes me how people don’t seem to read the details before going with the program. Then people on here explain it over and over again and the same complaints are still made. Simple to understand and the process is not unreasonable, it is fair unless HP does not supply the ink as advertised. The same complaints about not being able to use the ink that was paid for are ridiculous as are other parts of the complaints. The concern I have is if the ink dries up. I called HP and was directed to that department and I asked them about what would happen if the ink dried up. I explained that it says the cartridges are bigger than the XL and someone not printing a lot would not even come close to using that much ink in a years time. I specifically asked her what would happen if the ink dried up. She said the ink was good for 2 years and that if the ink dried up, you could request replacement ink but I am not so sure it would work like that. I would fall under the free plan for 15 pages a month and a dollar for every 10 pages over that. With that cartridge size, I would not use all the ink in 2 years, probably not even close to it. The printer tells them when the ink is low and they ship it but if there was a lot of ink left and it was dried up, the printer would not send a low ink message and if the cartridge was not near expiration I don’t know what would happen. That is a situation that you would have to wait until it happened to know exactly how they would handle it.